What do you do if you can’t afford Audi’s iconic Quattro coupe? You look around, and find this: the same 5-cylinder engine, Quattro all-wheel drive, the same logo, and the same wheels. While the coupe’s flares and aerodynamic bits are pretty awesome, this car is awesome in its own right. While the body looks very straight, and is likely to be rust-free due to its location, the paint is fairly well oxidized, so budget for a repaint to keep it looking as it should. It’s nice that this car avoided the ugly sealed beam light setup of the early 5000s. So many cars have aped this style that it almost seems mundane, but that’s truly the hallmark of an influential design. 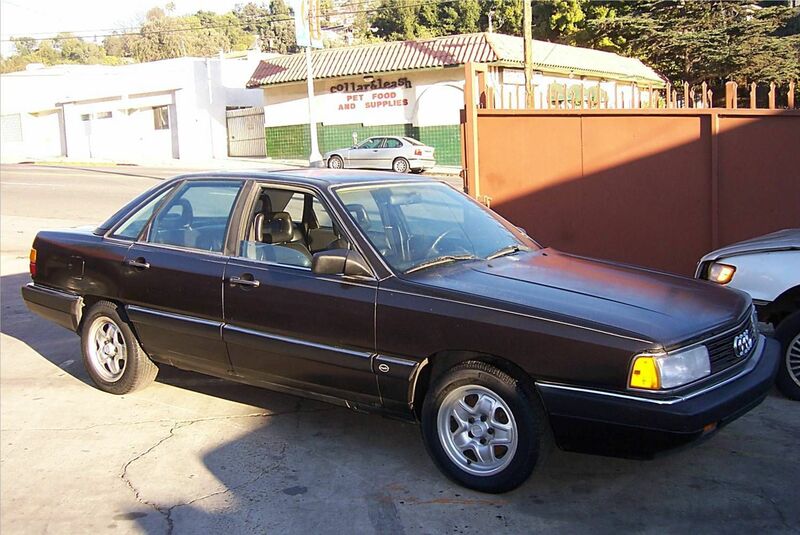 Picture what this car looked like against the E28 5-series BMW, W123 Mercedes, Ford LTD (the Taurus’ predecessor), Volvo 240, and Saab 900 – it made them all look like antiques! The seller has put this car on the market due to a forthcoming move to San Francisco, and an expected lack of garage space. The interior looks pretty decent, albeit with a couple of splits. 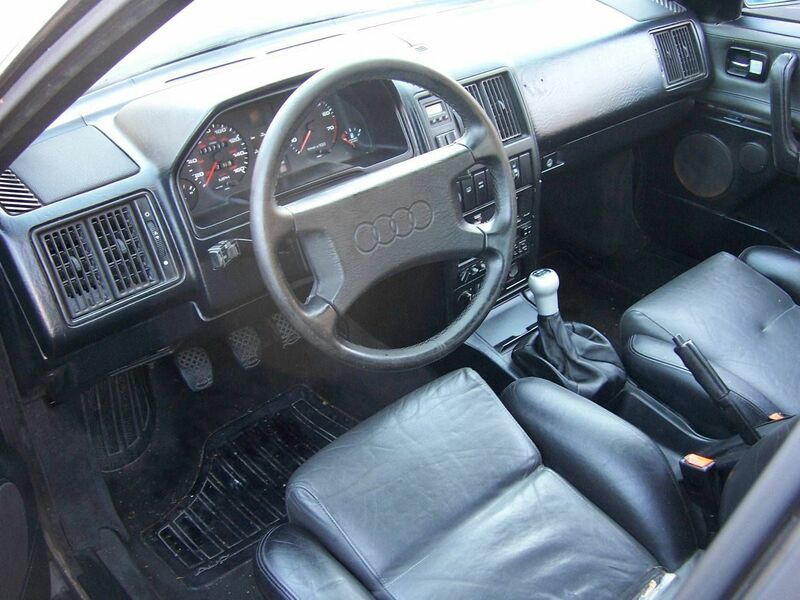 This doesn’t look to be the original upholstery pattern – while they were adventurous with exterior design, Audi was still fairly conservative on the inside. The dash looks largely crack-free, and the whole interior seems to have avoided any significant level of sun damage. And wait, what is that?? A manual shifter? Most surviving 5000s are the basic S model with depressing automatic transmissions, but here you have a turbo with a 5-speed! Anyman on the street won’t know it, but the whole frenzy around unintended acceleration only applied to the automatics, since you can’t accelerate without meaning to in a stickshift car. Unless you were drunk, high, creative, or all three. And here’s the catch – the owner overheated the engine, so badly it apparently failed. However, he has had a new engine shipped from a wrecked car in Florida, and it is ready to be installed. So find a good Audi mechanic in LA (there has to be at least one! 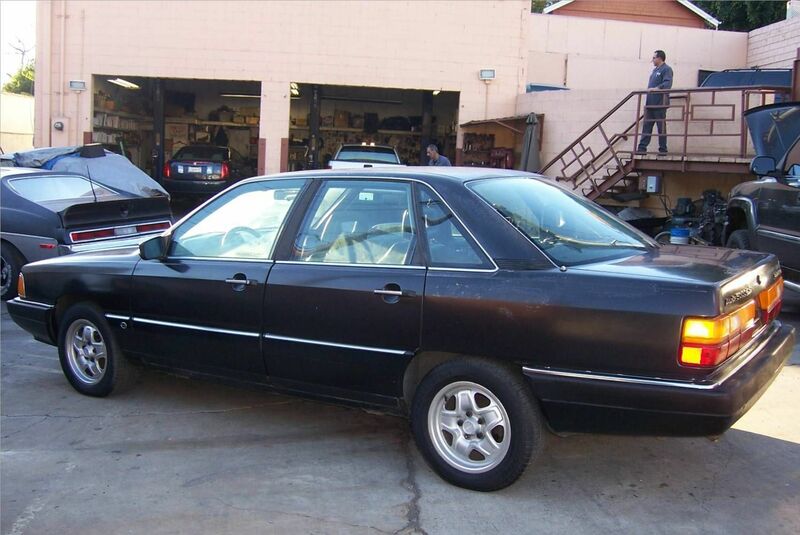 ), have him pop the new engine in, and drive it home, probably still under $2000! 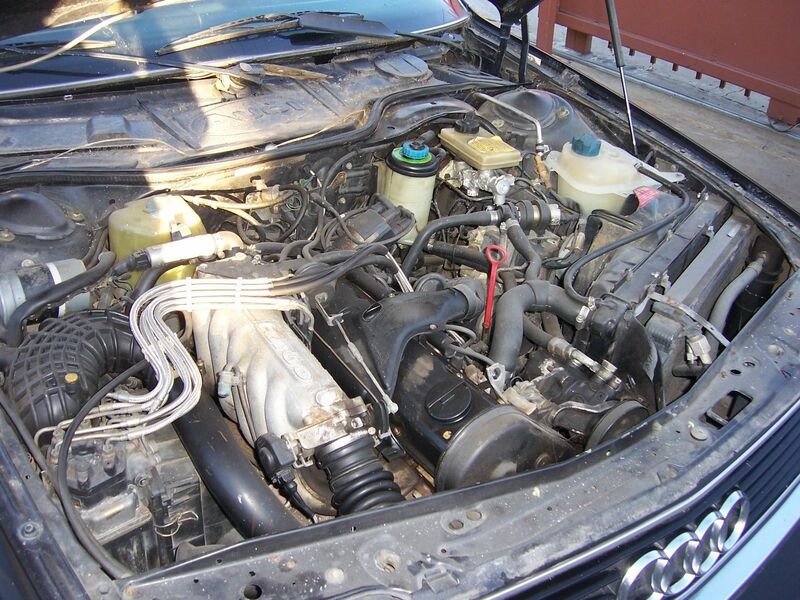 Oh, and if you can tell the difference between the gas and brake, and can stomach a seller’s relentless hyperbole and exclamation points, check out this sweet 1986 Audi 5000CS Turbo for sale in San Antonio, TX with bidding at $790 and about a day left to go. This entry was posted on January 7, 2014 at 3:51 pm and is filed under Feature. You can follow any responses to this entry through the RSS 2.0 feed. You can leave a response, or trackback from your own site.